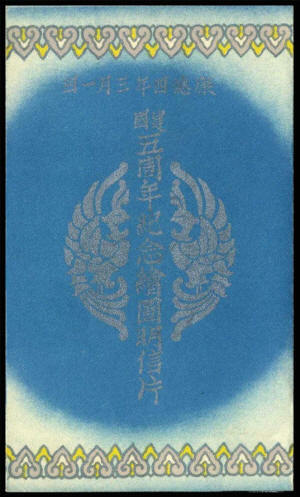 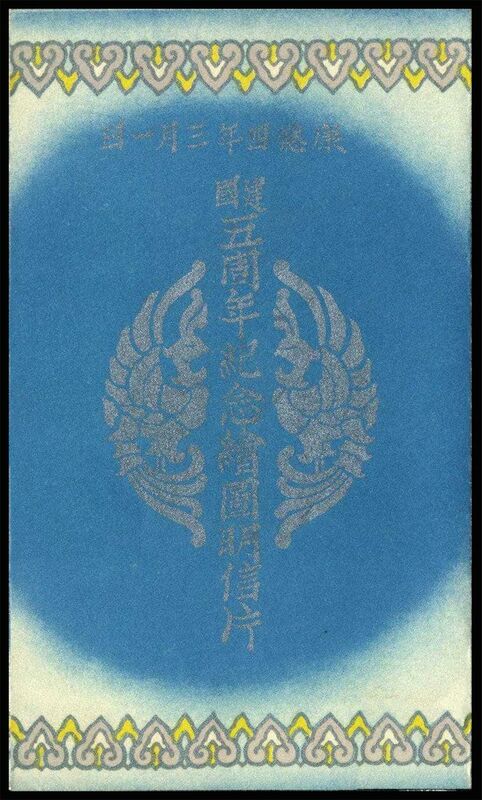 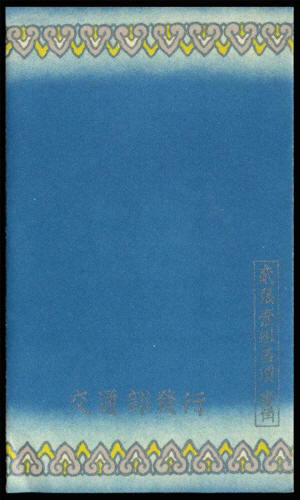 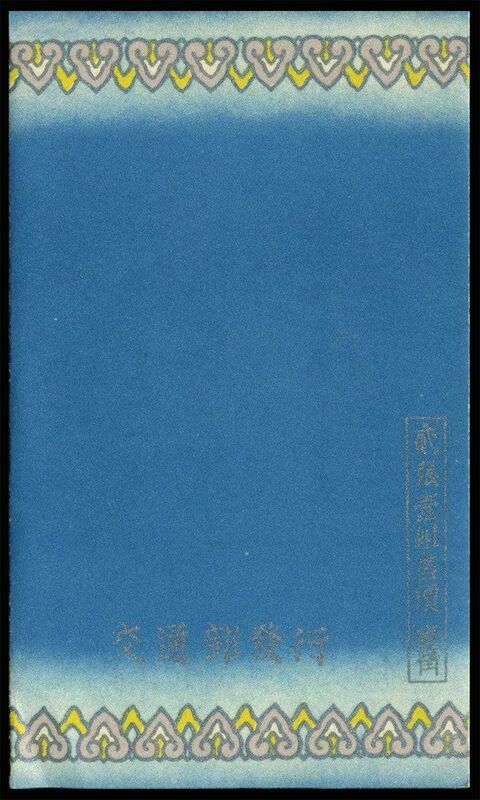 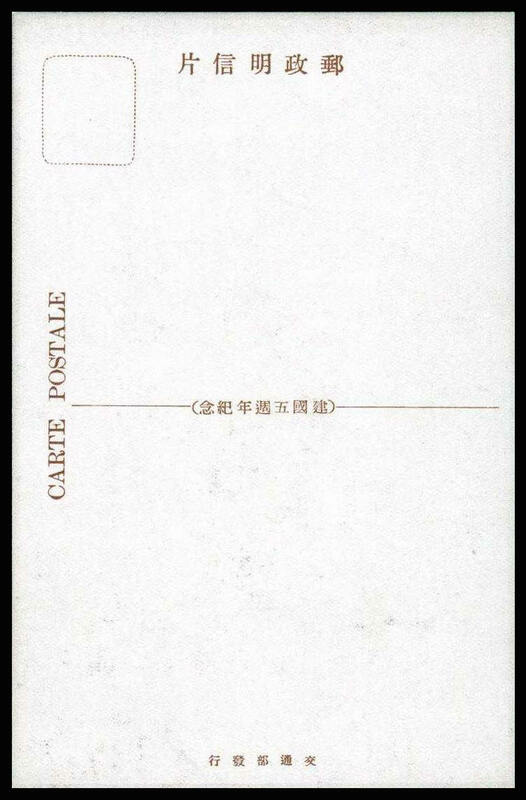 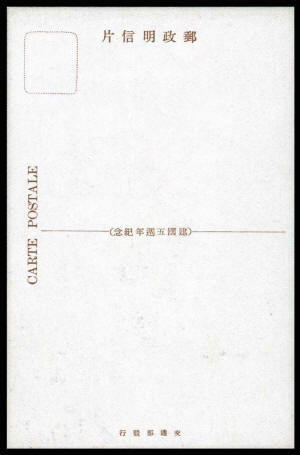 Issued on 1st March 1937 This is a set of two cards issued in honour of the Fifth Anniversary of the State of Manchukuo. 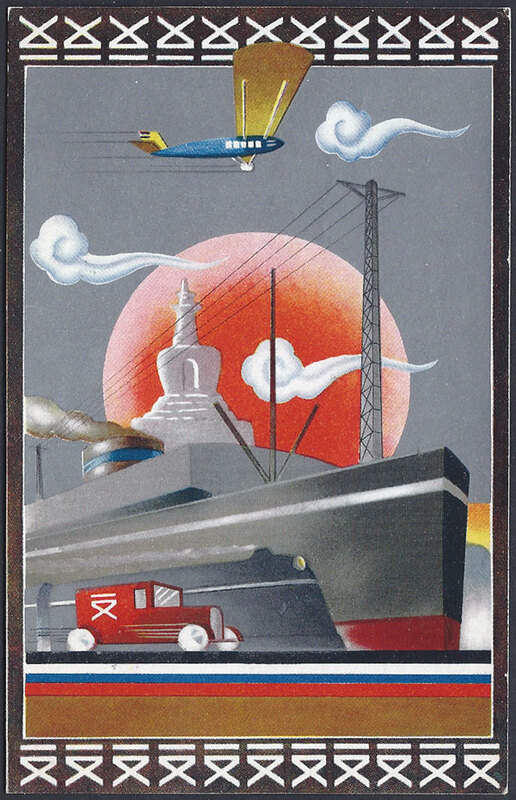 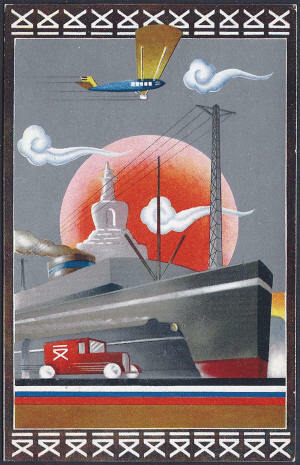 Card 1 - The design features the modern transport system and in the foreground the red van has the emblem of the Manchukoan Postal Service. 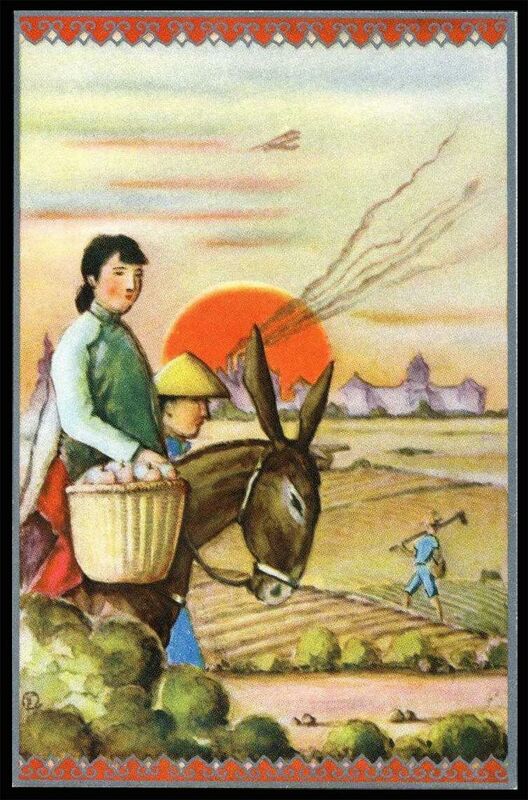 Card 2 - This card shows agriculture with the backdrop of a modern city.